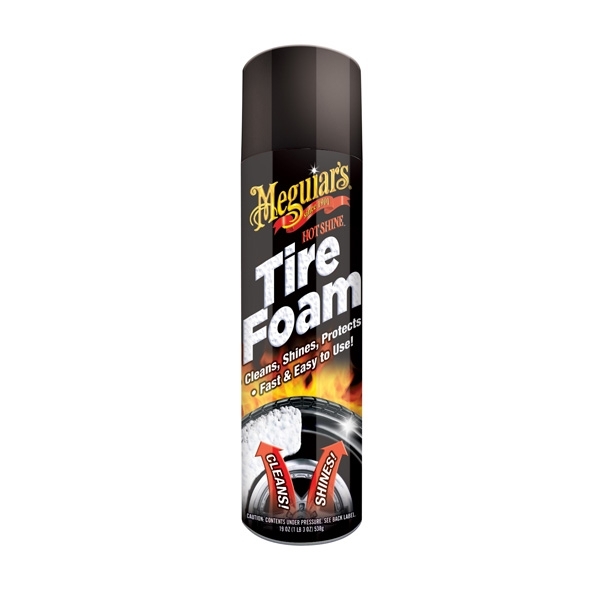 Meguiar's Hot Shine Tire Foam - 19 oz. Meguiar's Hot Shine Tire Foam's new foam technology breaks clear on the tire (with no milky mess) leaving a deep, black, rich shine. In one easy step, the thick, luxurious foam coats the tire, quickly penetrates, lifts and releases dirt and road grime leaving behind an even, rich shine.